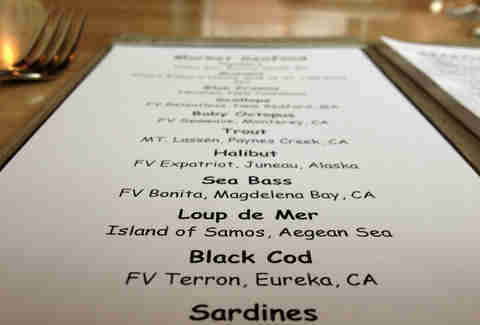 How fresh is seafood at this place? They'll tell you the name of the boat that caught it this morning. 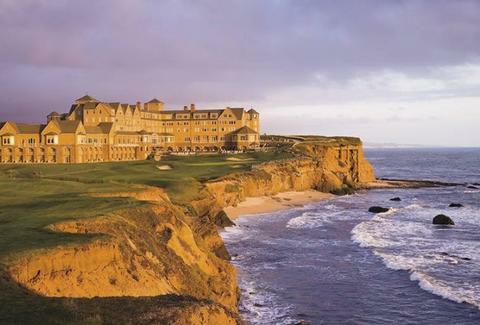 This is the Ritz-Carlton Half Moon Bay. It's really freaking nice. We're talking five-star, pool inside of an atrium, golf course modeled after St Andrews in Scotland, MINTS ON YOUR PILLOW (!!!!) nice. Inside of it, there's a restaurant. It's called Navio, and it's fresh off a $1 million renovation, but that's not even the best part. This is. 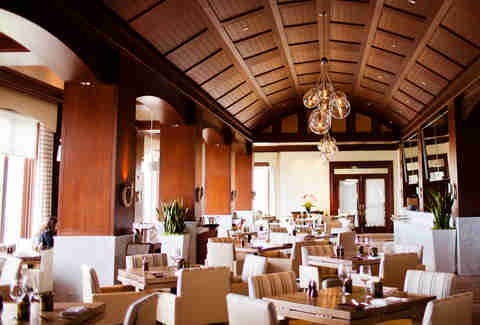 Their new seafood-focused menu designed by a French Master Chef and a Paul Bocuse disciple who're hand-picking their market seafood every morning from a nearby port and then listing it along with the name of the ship that caught it. 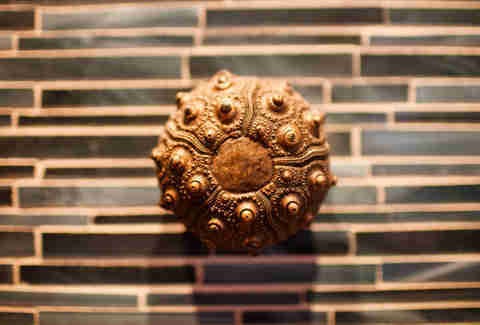 ... like an entire wall of sea urchins, which you can't eat because -- again with the five-star thing -- they're made of, ugh, bronze.